It’s hard not to catch a tech buzz when you’re in San Francisco. You can almost smell it in the streets…wait, that’s something else. Source Media picked the perfect city to convene In|Vest West 2018, its inaugural gathering of fintech-heads, to share insights about the wealth advisory space and where the industry is heading. Why are we still flying places to hear people talk? I ask that question rhetorically, but I know the answer. We go to meet people. Conferences have experienced a somewhat puzzling renaissance of late. I say that because despite the rise of social networks, the explosion of online content and free video conferencing tools, people still seem to want to get on planes and fly to cool places so they can sit in rooms and listen to people talk – all the while checking their email and keeping up with work back at the office. The fact is, what happens at conferences is NOT principally what is said on stage, but what happens between sessions. We all attend different sessions and have different conversations with different people, so our experiences and observations of any event can vary considerably. Even what we hear on stage is shaped by what people say to each other about it afterwards. So, here are some of my observations and takeaways based on what I saw and heard both on stage and off at In|Vest West 2018. Let’s start with Ric Edelman. I see Edelman as one of only a handful of wealth industry leaders with a clear vision about how tech is changing our lives and society at large – and he’s steering his business accordingly. What I like about him is that he has such clarity around issues that so many others in the industry seem to find so difficult to grasp. “Successful advisory firms need tech, scale and philosophy to succeed,” Edelman said. Many firms have mastered one of these; few, like Edelman, have them all firing together. The robo-advisor wars are over, he asserts. Human advisors are essential because there’s no technology that will stop a client from selling positions at inopportune times (like when markets are dropping precipitously). Even the robo-advisors get this and are hiring human advisors. Someone in the audience asked how his marketing would change for the Millennial generation? Edelman considered the question and explained he’d continue doing what he’s always done, which is promote financial education through his PBS specials, his radio program, and as a bestselling author. Education is the new marketing. Edelman’s remarks came at the outset of the conference and they encapsulated precisely where the industry ought to be: recognizing that successful wealth businesses must be based on technology-enhanced human advice, delivered at scale. I can leave now, I thought. Had I left after Edelman, I would have missed meeting and talking to a bunch of other great people. In particular, I would have missed one of the best sessions late on the second day, involving Citizens Bank and fintech startup SigFig. 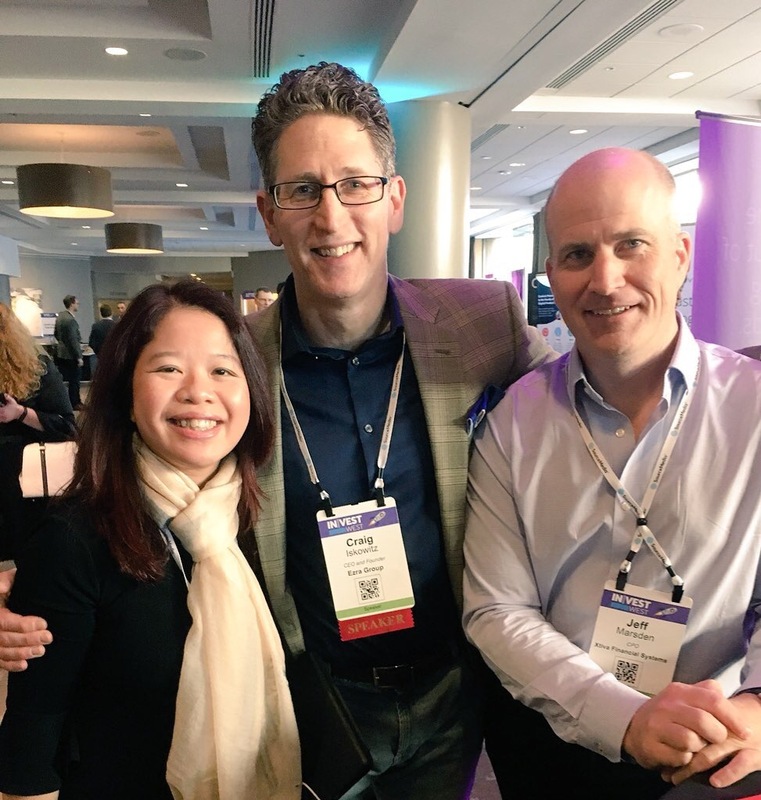 While the Citizens Bank guys deserve credit for bringing in a fintech partner and leading the digital transformation of their financial institution, it was SigFig’s founder and CEO Mike Sha who quietly stole the show. Sha is a whip-smart young fintech leader whose company is blazing a trail with some of the most important partnerships with incumbents in the banking and wealth industry. SigFig’s now well-known pivot from consumer robo-advisor to B2B digital wealth provider is proving to be a great move. 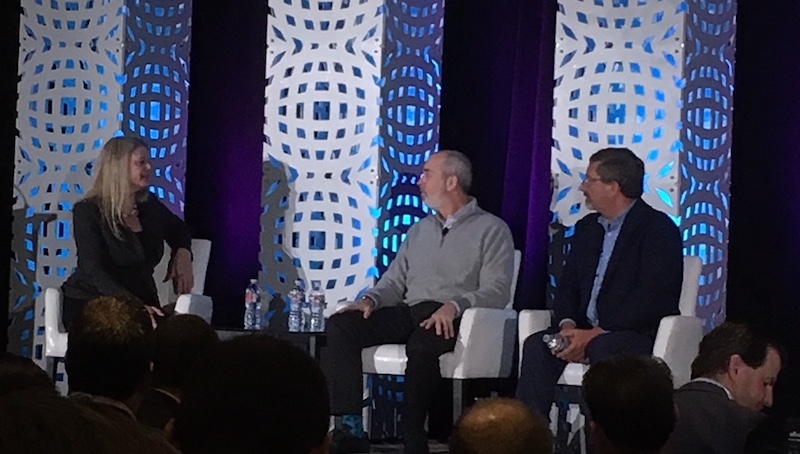 Panelists reflected on the cultural challenges confronted by a fintech working with an incumbent FI, and vice versa, but what became evident was that Sha is a rare fintech leader that possesses both the confidence and skill to navigate this new course of working with bankers. And that makes him and SigFig a formidable force the emerging wealthtech space. I ran into GuideVine’s Raghav Sharma more than a few times over course of the event and discussed his pivot toward an enterprise offering. Over the past several years, GuideVine has developed a formidable platform for converting traffic on wealth advisory firm websites into actual client meetings that convert. A customer-driven advisor-client matching algorithm is combined with video profiles of advisors and a human-touch concierge service to get more meetings – and therefore, more revenue – out of existing website traffic. It doesn’t take much conversion lift for wealth advisory firms to increase the ROI of their existing digital marketing efforts. That’s low-hanging fruit they should be scooping up. There’s nothing conventional about Brad Leimer and Theo Lau and I had the pleasure of finally meeting both in person, after engaging with and learning much from them over the past several years on Twitter. Each of their sessions offered a deep dive into a fintech startup. Brad got into a fascinating discussion with Money Lion CEO Dee Choubey about unbundling the bank and the underlying revenue models, while Theo led an excellent discussion with Titan’s founder Clayton Gardner about bringing hedge funds to the masses. Watch for more of Brad and Theo in 2019 as they bring their Unconventional Ventures to a conference near you. At some point, one gets tired of sitting in sessions so I skipped a few and just had some good conversations. One conversation was with Jeff Marsden of Xtiva who is creating a new category in financial advisory for their Sales Performance Management suite. As advisors are freed up by technology to spend more time advising clients, firms need to be smart about using compensation as a strategic lever and maximizing advisor performance. Xtiva is poised for growth in 2019 and 2020. Keep an eye out for their Wealthtech Trends to Watch in 2019. Another was with Meaghan Dampsey of Responsive AI, based in Vancouver and getting some good traction with their AI-driven wealth management offering. Check out CEO Davyde Wachell’s conversation with Jason Pereira on Fintech Impact. And I met the inimitable Craig Iskowitz in person for the first time. Despite his reputation as a shrewd observer of the wealth management industry and prolific writer at Wealth Management Today, Craig wants everyone to know he’s a consultant first and foremost. You can follow Craig on Twitter and find him at his consulting business, EZRA Group. After the conference wrapped on Friday, I spent an extra day in town to take in the city and meet up with a childhood friend. As we walked all around the Tenderloin, Nob Hill and Pacific Heights, I kept seeing people dressed as Santas everywhere. Was it just Christmas cheer in San Francisco – what was going on? Turns out, SantaCon was going on. Who knew? Overall, In|Vest West was a great event attracting a wide variety of people from the financial advisory looking to tech-up their offering. Looking forward to In|Vest NYC in July 2019! Disclosure: Xtiva and GuideVine are clients of Jay Palter Social Advisory.